The lost daughter of Kaizen Gamorra returns to the WildStorm Universe! 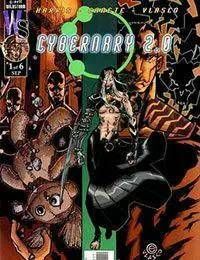 Yumiko Gamorra is reborn, rising from the ashes of destruction caused by the Authority, as the new Cybernary a Hunter Killer cyborg infused with state-of-the-art nanotechnology. Is she merely the scion of WildStorms worst tyrant or something much more powerful?